If you are aware of these basic tips on common dental problems, you’re a long way ahead of the game in preventing a visit to your dentist becoming costly. Eating right, regular brushing and flossing and attending your regular maintenance visits to your dentist will mean your overall health, your oral health and your bank balance will all remain healthy! Ooh – nasty. We’ve all come across this one sometime and let’s face it – it’s seriously embarrassing! Occasional bad breath could be attributed to the garlic prawns or onion rings you ate, or it may be the result of poor brushing and flossing. Stress can sometimes cause breath issues too. A gargle, floss and brush (don’t forget your tongue) will go a long way to fixing the issue if this is the case. But persistent bad breath can often be attributed to a deeper dental problem. Cavities, gum disease, dry mouth and oral cancer are some of the causes of longer term breath issues. If you have Chronic bad breath and are chugging away at the mouthwash to keep it at bay, now is a good time to check in with your dentist to rule out any larger issues and get some professional help. Another common dental problem, infection of the gum around the tooth can usually be prevented with (you got it) regular cleaning and flossing (are you seeing a pattern here?). Bacteria can collect in between the tooth and gum and cause problems there, that can deteriorate into some serious issues for your gums and teeth if not dealt with. If your gums bleed a little when you floss, don’t stop! Keep up your flossing routine and the bleeding should cease. If it doesn’t abate on its own, some professional intervention is a good idea as prolonged gum disease can render your breath unsavoury, for one, but also lead to tooth loss and we don’t want that to happen to your beautiful smile! Tooth decay (cavities) is up there with the common cold for prevalence. It’s easy enough to prevent this dental problem and even to treat in its early stages. Decay occurs when plaque (a sticky substance that likes to form on your teeth throughout the day) combines with the sugar and starch in our food to produce acid that attacks the enamel on your teeth. How to keep it at bay? You got it – that brush and floss routine again! Eating healthy foods and avoiding food and drink that have a high sugar content, drinking plenty of water, avoiding snacking, are other common ways to avoid decay. Regular maintenance visits with your Dentist will mean any early signs of decay can be treated before they become problematic. Ouch.. most of us will have experienced that pain and discomfort of tooth sensitivity at some time. Tooth sensitivity is pain or discomfort on your teeth from exposure to cold air, hot or cold drinks, sweets, ice-cream and the like. While sometimes a sensitive formula or fluoride toothpaste is all that’s required, your sensitivity could have a deeper root. Grinding your teeth at night can cause sensitivity, a night guard or splint made by your dentist can help here. 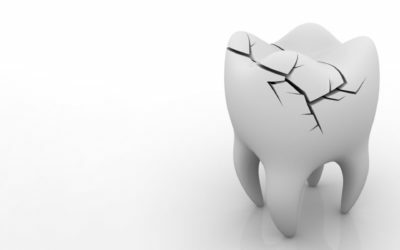 You may have developed a crack in a tooth or an oral abscess that requires your dentist’s attention. Next time you’re at your scheduled maintenance appointment talk to your dentist about your tooth sensitivity, he or she will certainly be able to help. Rinse with water after eating to neutralise the acid. Don’t brush your teeth straight after food, wait an hour or so to allow your teeth to regenerate minerals after exposure to acid. Shun the soft drinks, make tea your friend. If you must drink soft drink and juice, use a straw to bypass your teeth. Sugar free gum helps with a dry mouth and gets protective saliva flowing and aids mineral regeneration. Brush with a soft toothbrush and a fluoride toothpaste (don’t scrub your teeth please!) to ease sensitivity. Knowledge is power so keep up the good work, continue your At Home cleaning and maintenance routines, be healthy and vigilant, see your dentist on the regular to keep problems at bay and you’ll have that beautiful, warm, healthy smile for a long, long time to come.